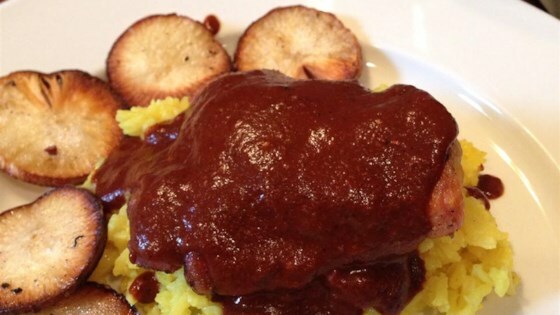 "Hot chiles and rich chocolate make this authentic mole sauce perfect for topping stewed meats or enchiladas." Allow the chiles and toasted bread and tortillas to soak, fully submerged, in the chicken broth until softened, about 10 minutes. Blend the mixture until smooth.